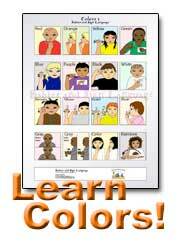 Sign Language Boosts Reading Skills - SignShine: Imagine If Your Child Could Read a Book -- to You! 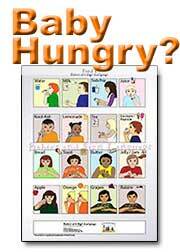 SignShine: Imagine If Your Child Could Read a Book -- to You! Caught on tape! My 16-month-old son reading to his sister! It’s amazing and I’m so excited to share this special video clip taken in our kids’ bedroom, just before bedtime. As many of you know, I am a huge fan of routines. I believe that children feel comfortable and safe if they know what to expect next. In our home, as in many other homes, we have a special bedtime routine. Those moments at the end of our day are my most special, favorite times – especially book reading and signing. In this video, you will see my son, Dylan, reading a book to his 4-year-old sister. Yes, you read it right, he is reading the book to her! What are the benefits of signing and reading books? Not only can we empower children by giving them opportunities to share what’s on their minds, but we can help develop their imagination. Recent studies conducted by Marilyn Daniels show that signing with books increases reading readiness, develops literacy skills, and enhances comprehension. Remember the speed-reading courses in the 90’s? Well, signing while reading works the same way -- we teach children to read and scan the most important words in a sentence. See if you can find the key words in the following sentence: “Mommy went to the park with her boy and they played in the sand.” Your answer is probably: mommy - park – boy – play - sand. These are exactly the ones we would sign while reading, because these are the words the brain is focusing on. When a child who signs starts reading, he has already developed some of the skills necessary for reading; hence, he is a better reader and will likely enjoy it more! The video shows that my son can read the book and express what he sees in his own words. But equally as important, his bond with my daughter becomes even stronger and more meaningful! It’s something they can do together, on equal footing, despite their age difference. I am very proud of them! Start with simple board books or touch-and-feel books that have simple, bright, and “touchable” pictures that are not too busy for your baby to absorb. Remember, you do not have to sign every word. 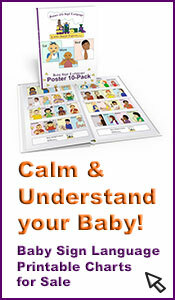 Pick out key concepts or pictures that are important to you and your baby. You will be amazed at how meaningful and enriching reading combined with signing can be. Because children enjoy reading the same books over and over, it’s a perfect opportunity to use repetition in signing. Develops the imagination of both your child and the parent (you). Adds rich meaning to reading, making it a fun and inviting experience for those involved. Associates reading with positive experiences and opportunities for interaction – get the whole family involved! 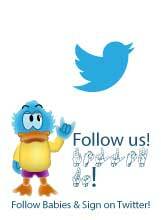 Motivates children to develop literacy skills. 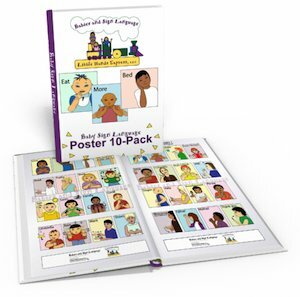 Encourages the child to be an ACTIVE participant: the book is more interactive since the child is involved in the PROCESS of reading while signing along with the book. Note from the editor: "Thank you for this wonderful article submission, Etel!" We know of several dozens of signing babies who are now reading toddlers and preschoolers. Our very own signing son is 6 years old and tested at beyond 7th grade reading level just last month.